All our professionals at Dr. Porac & Bachtell maintain the highest levels of accreditation and pursue ongoing education to stay abreast of the latest trends in dentistry. Dr. Porac grew up in Western Pennsylvania (Monroeville, Pa.). He attended the University of Maryland, College Park on a four year basketball scholarship and played on a nationally ranked team during his four years at Maryland. He received his B.S. Degree in Zoology in 1974. Dr. Porac attended the University of Maryland Baltimore College of Dental Surgery and received his D.D.S. degree in 1979. He moved to Hagerstown in June of 1979 where he began his practice of dentistry. He is a member of the American Dental Association; Maryland State Dental Association; and Washington County Dental Society. 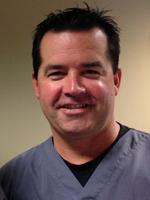 Dr. Porac is a past president of the Washington County Dental Society. Dr. Porac donates dental treatment through the Donated Dental Service Organization with the State of Maryland. Dr. Porac has been involved in the Rotary Club, Elks Club, Valley Little League and other community organizations. He officiated high school and college basketball for over 25 years. He now enjoys playing golf, and spending time with family and friends. He is married to his wife Carol and has three children and six grandchildren. Dr. Porac has provided quality dental care to the Washington County Community since 1979 and enjoys helping his patients maintain excellent dental health. Dr. Bachtell grew up in Washington County Maryland (Smithsburg 90'). After high school he attended Mount Saint Mary's College and played baseball. He was awarded the Professor Dominic G Greco Prize for outstanding academic achievement in sciences. He graduated from The Mount in 1994 with a B.S. in Biology. Dr. Bachtell then graduated from the University of Maryland, Baltimore College of Dental Surgery in 1998. Upon graduation he joined Dr. Porac's practice as an Associate Dentist and after several years became a Partner. He is a member of the American Dental Association, Maryland State Dental Association and Washington County Dental Society. 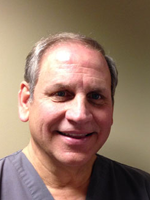 Dr. Bachtell has served as president of the Washington County Dental Society. Dr. Bachtell has participated in Dentistry from the Heart and Mission of Mercy dental charities. He is currently in his 4th year as the Head Coach of Smithsburg High School's Girls Varsity Basketball Program. Dr. Bachtell's interests include hunting, fishing and spending time with family and friends. He has been married to his wife Angi (RN @ Meritus Medical Center) since 1995. They have 3 adult children. Dr. Bachtell enjoys many aspects of dentistry and would be happy to meet with you and discuss any dental questions or concerns you may have. other business office matters. 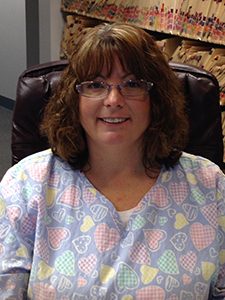 Dawn is also experienced in dental assisting and radiology. Dawn handles most insurance questions and account information. 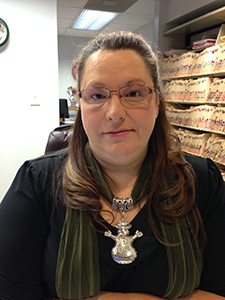 Lisa handles appointments, insurance and other front desk duties. Lisa has been with the practice since 2000. 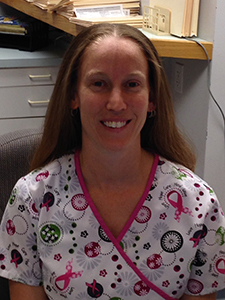 Lisa is also an experienced dental assistant and licensed in radiology. She works both the front desk and clinical areas. 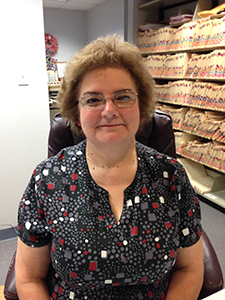 Diane has been with our practice since 1987. She first worked with her father Dr. Burkett and grew up in Washington County. Diane received her Dental Hygiene Degree from Allegany College of Maryland. Diane cares about our patients overall dental health..
Robin has been helping our practice as a part-time Hygienist since 2012. She is very experienced, friendly and kind. Patients are comfortable with Robin's care. 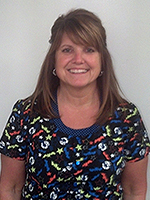 Kim is an experienced hygienist and joined our practice in November 2014. She provides excellent care and is a welcome addition to our practice. 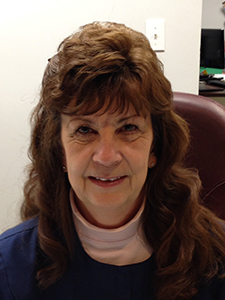 Bev joined our practice in 1988 and is a very competent dental assistant. She will make your dental visit a positive experience. She will always answer any questions concerning your dental treatment. Karla was first a long time patient with our office, and then received training for dental assisting. She has been an assistant since 2008. Karla also has experience and can handle front desk duties.